Despite a long and rich history with cannabis, Japan is a country that doesn’t talk about or recognize the potential benefits of the plant. While cannabis prohibition is easing up in the United States, there has been little movement towards the legalization in Japan, where it has a long and rich history. 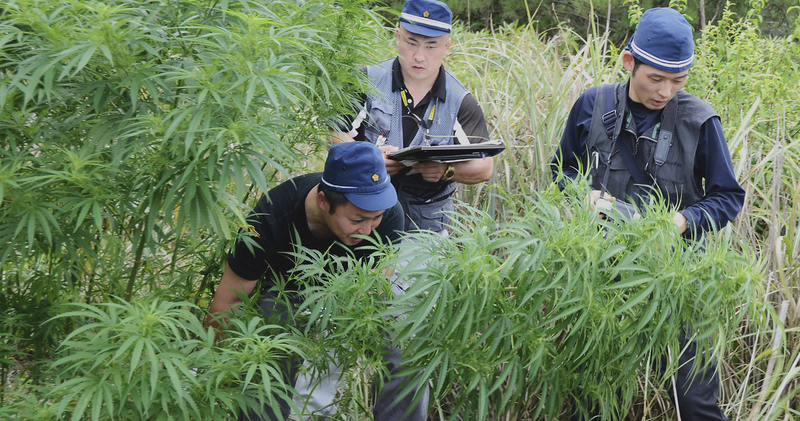 In an article that was published by The Japan Times, the country’s historical and cultural links to the much-maligned weed are examined, revealing that the country with some of the strictest cannabis laws in the world once used the plant to its fullest. When Junichi Takayasu was just three, a picture book about ninjas forever changed his life. But it wasn’t the ninjas that had his interested, but the use of a very special plant. The book showed how ninjas trained by jumping over cannabis plants. Every day they had to leap higher and higher because cannabis grows very quickly. I was so amazed that I told my mom I wanted to grow cannabis when I was older. Of course, due to the country’s stance on cannabis, Takayasu’s mother was distressed by her son’s aspiration to grow weed. After all, even the possession of the smallest amounts of weed is punishable by prison sentences of up to five years, with cultivation seeing the growers get seven years behind bars. Regardless, he refused to let that from stopping him pursue his dreams. Now, over four decades later, Takayasu is one of Japan’s leading experts on cannabis, That knowledge and passion saw him becoming the curator of Taima Hakubutsukan, Japan’s only museum dedicated to weed, which opened in 2001. According to Takayasu, the earliest evidence of cannabis in Japan dates back to the Jomon Period (10,000-200 B.C.) with pottery relics recovered in Fukui Prefecture containing seeds and scraps of woven cannabis fibers. Cannabis was the most important substance for prehistoric people in Japan. They wore clothes made from its fibers and they used it for bow strings and fishing lines. Looking at the evidence, it seems that the cannabis from which these Jomon Period fibers originated was cannabis sativa, which is “tall-growing and valued for its strong stems.” In fact, it is from sativa strains that today’s specially bred industrial hemp is derived. During the following centuries, cannabis played a key role in Japan, especially in Shintoism, which is the country’s indigenous religion. In Shintoism, cannabis was revered for its cleansing abilities, which is why priests used to wave bundles of its leaves to bless believers and exorcise evil spirits. This detail remains to this day, with the thick ceremonial ropes woven from cannabis fibers that are displayed at shrines. But it wasn’t just religion, as cannabis was also important in the lives of ordinary people. According to early 20th-century historian George Foot Moore, Japanese travelers historically used to present small offerings of cannabis leaves at roadside shrines to ensure safe journeys. He also noted how, during the summer Bon festival, families burned bundles of cannabis in their doorways to welcome back the spirits of the dead. Up until the mid-20th century, cannabis was cultivated across the country and was also featured in literature. Along with the aforementioned references to cannabis plants in ninja training, there were also references in the Manyoshu, one of Japan’s oldest collection of poems, and Wakoku Hyakujo, an Edo Period (1603-1868) book of woodblock prints. Then, in haiku poetry, there are keywords that describe the stages of cannabis cultivation that are denoted to which season the poem is set. Cannabis farming used to be a year-round cycle. The seeds were planted in spring then harvested in the summer. Following this, the stalks were dried then soaked and turned into fiber. Throughout the winter, these were then woven into cloth and made into clothes ready to wear for the next planting season. So, with cannabis playing such an important material and spiritual role, the real question is, did people smoke it? Takayasu, along with other Japanese cannabis experts, isn’t sure. Although historical records make no mention of the practice, some historians have speculated that cannabis may have been the drug of choice for commoners. Whereas rice – and the sake brewed from it – was monopolized by the upper classes, cannabis was grown widely and was freely available. Whoever was smoking it was elevated, too, as there are scientific studies that suggest high levels of THC in Japanese cannabis plants. According to one survey published by the United Nations Office on Drugs and Crime in 1973, cannabis plants from Tochigi and Hokkaido clocked THC levels of 3.9 percent and 3.4 percent, respectively. As a comparison, the University of Mississippi’s Marijuana Potency Monitoring Project revealed that average THC levels in marijuana seized by U.S. police in the 1970s were only around 1.5 percent. It seems that Japanese people aren’t averse to taking advantage of the medicinal benefits of cannabis, either. With cannabis long being an ingredient in traditional Chinese medicine, it also saw cannabis-based cures available from Japanese drug stores in the 20th century, which were used to treat insomnia and relieve pain. But, the 1940s – in particular, World War II – marked a major turning point in the story of Japanese cannabis production. During World War II, there was a saying among the military that without cannabis, the war couldn’t be waged. When Japan was defeated in 1945, the attitudes changed, which was due to the U.S. authorities that occupied Japan. The occupying forces also brought those American attitudes toward cannabis. Back in the States, the federal government had effectively outlawed cannabis and sought to do the same in Japan. 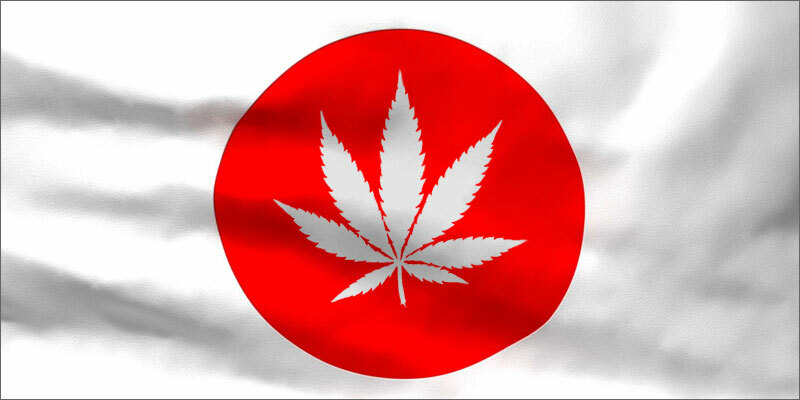 In July 1948, while the nation was still under U.S. occupation, Japan passed the Cannabis Control Act, a law that remains the basis of anti-cannabis policy in Japan today.